Louis XIV started encouraging the coats, vests, and breeches. 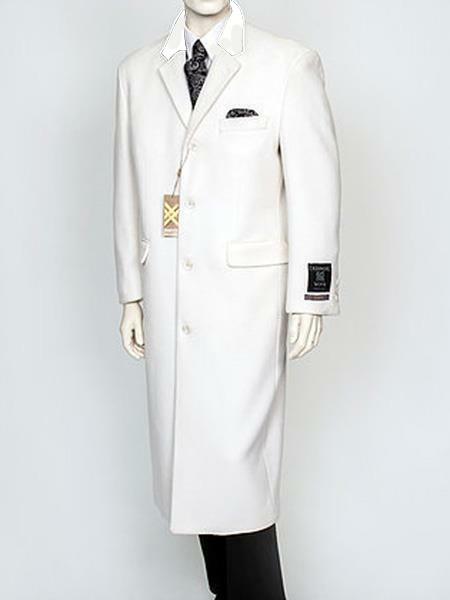 The modernized form of this is the dress mens overcoat which is worn nowadays. In the late 1660s, for the first time straight-cut vest fitting the figure made its appearance. Soon it became common with people to wear vest or waistcoats. With time, the old form of heavy decorative attire became simpler. There was restrain in the dressing of men. The English tailors dominated the male fashion scene. Woolen fabric was the most preferred fabric by the tailors to make this attire. These coats are simple, fashionable and perfectly cut. This use of wool began in central Asia about 10,000 years ago. Wool is durable, versatile, elastic, and very flexible. The wool is obtained from variety of breeds of sheep from locations with different climatic conditions. The wool is obtained by removing wool from the sheep. This is process is called sheep shearing. The raw wool is made to refined products like Tweed and worsted by canvas work, knitting, spinning, and weaving. The worsted wools are smooth and lightweight. There type of wool men's overcoats is good for spring and summer. The tropical wools are light weight and can be during summer and spring. The tropical woolen fabrics are well finished and flexible give more breathing space. Gabardine is tightly woven with single diagonal lines on the face of the cloth and has a firm finish. The gabardine fabric is durable and outlasts compared to other materials making it right fabric used all the year round. Melton wool fabrics are thick, smooth wool. Melton is durable and wind resistant making it perfect to be worn as over coat, army uniform, and other outerwear like suit jackets. Flannel is a plain, soft, with moderate weight, which is used to make luxurious looking men's overcoats. Flannel fabrics can be worn during winter season. Tweed woolen fabrics originated from Scotland are coarsely woven thick fabric which is used for making jackets. Try to avoid short sleeve with a tie. Generally, short sleeve shirts are considered to be low class wear. The other important factor considered in this outfit is shoes. Men should wear shoes cleanly, proper condition, shine look, repaired and it should be perfect for that particular occasion. People are suggested to prefer lace up shoes, so that men have enhancing look of formal, sophistication, royal and trendy. The trousers should be tailored long as it covers the socks properly. Generally, trousers should cover the socks and socks should cover the shins. The socks and shoes should match with your overcoats. Pants will be long enough when slight break is applied in the front. Pleats and cuffs are the vital requirements in trousers and while tailoring it should be considered. Avoid wearing belt and braces together. The belts should match the shoes and try to avoid mismatching costumes. The tie is the other important factor in dressing. Make sure that tie chosen matches your attire and also it reaches till your belt line. The tie should not be too long or too short. It should be correct enough to add impressive look. The ties should be knotted properly and it should be known that proper knotted ties should have dimple. The sports jacket should match the occasion chosen to wear. The buttons cuts, fits should be designed properly and it should be emphasis the tradition consequently as per trend and culture. Single breasted style come in one or two or three or more button styles. The two and three button jackets looks classic and more buttons look more fashion and trendy. They are available in more styles, colors, designs and cuts. As per business occasion, get together events and any other special events, they are designed and produced. High quality fabrics are used to make men feel cool, good and smooth all over the day. Double breasted looks more formal in style and it comes in four to six buttons. Most of the men use to prefer double breasted style for parties or business events to enhance the day with professional look. It is always suggested for men to choose the best attire to wear. More number of fashion designing companies comes up with excellent designed men's overcoats for people in competitive prices.